In Hear This, A.V. Club writers sing the praises of songs they know well. This week: With Labor Day on the horizon, we’re once again talking about our favorite “baby” songs. The resurgence of The Replacements the past couple of years was nice not only because it saw a beloved band reunited, but also because it pulled frontman Paul Westerberg in from the wilderness, where he was more or less lived since taking on the Singles soundtrack after the ’Mats called it quits. Sure, he released as steady stream of solo albums every few years in the ’90s, but as the millennium began, he was keeping an even lower profile than usual. Not keeping a low profile at the time was Vagrant Records, the upstart California punk label that was riding high from emo’s third wave, thanks to bands like The Get Up Kids, Dashboard Confessional, and Saves The Day. Vagrant was the biggest label in the punk and indie scene at the time, alternately resented and admired (note the quote from “punk journalist Kyle Ryan” in that Newsweek story), and owner Rich Egan had his sights set on expansion. That’s how the label most known for angsty teenager music came to work with one of the most respected and mercurial songwriters of his generation. 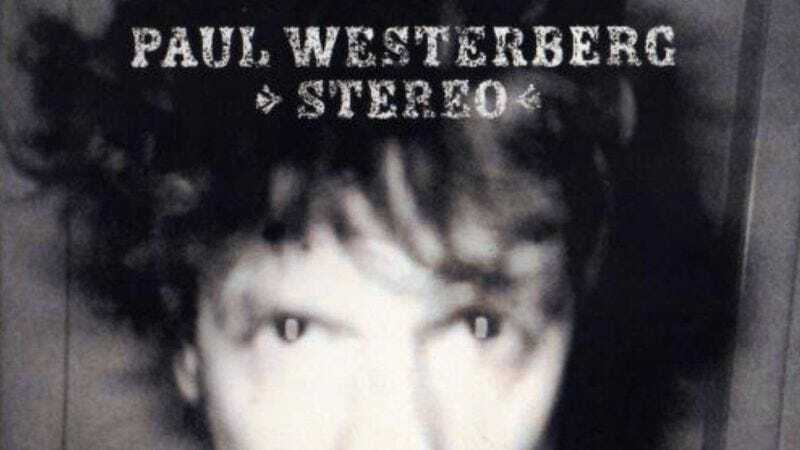 Westerberg released two albums on Vagrant simultaneously, Stereo (more subdued) and Mono (more rocking), the latter under his Grandpaboy moniker. They were essentially his Basement Tapes, recorded on his own without an outside producer or a desire to fix mistakes (like when the tape runs out during Stereo’s “Dirt To Mud,” for instance). Westerberg has always had a knack for plainspoken profundity, a no-frills way with words that can cut to the core. That’s even more apparent with the rudimentary production of Stereo and Mono, whose sentiment remains striking. Egan thought the albums had the potential for a Grammy nomination; that didn’t happen, but Vagrant Records would become a very different place in the years that followed. It’s the one place on Earth where you can draw a line connecting The Get Up Kids to Paul Westerberg to Janet Jackson. In a way, both Vagrant and Westerberg were babies learning to crawl—Vagrant planning its next phase, and Westerberg rejecting his relatively polished previous albums to focus on songcraft. These days, there are no traces of the label’s emo salad days or Westerberg on Vagrant’s website. Egan’s no longer involved and has since decamped to Nashville to focus on artist management, but his big plans for his little indie label came to fruition.